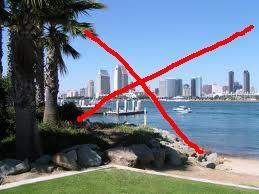 We un-nominate San Diego as a convention city in case Hurricane Isaac forces the Republicans to flee Tampa. What? Today’s news had two items of interest: Hurricane Isaac barreling toward Florida just may disrupt or adversely affect the Republican Convention being currently set up in Tampa. Romney & Co may have to relocate their shindig. Let us take this moment then, and reiterate: We un-nominate San Diego as the city for the GOP – we’re still paying for the last time the Republicans held a convention here. It’s fairly accepted now that the City of San Diego spent $50 Million to host the 1996 GOP convention here. That money went mainly into infrastructure and personnel costs. And guess what? Then-Mayor Susan Golding raided our treasuries for this partisan confab, and led to the underfunding of the pensions. The largest personnel cost was for police; and the City needed to keep their top-line police officials from retiring, so they installed the DROP program which allowed city people to put off retirement, especially the top cops. Since the City of San Diego is obviously still suffering from the raid on our money to facilitate the Republican Convention of that year, we certainly cannot afford to host another one. We sincerely hope the good people of Florida and Tampa are well-sheltered in this coming storm. But if the hard rains come, GOP delegates – please don’t come to San Diego. We can’t afford you. I guess you could say that when the GOP comes to town only the debt trickles down. Frank, that’s easy! It’s one, Dougy, and the rest to hold the pen.